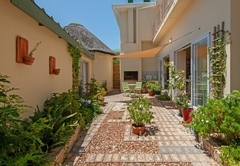 Verona Lodge by the Sea is a guest house with self catering option, providing accommodation in Kleinmond for tourists visiting the Cape Overberg region. 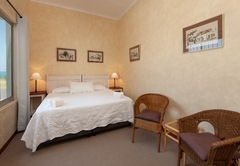 Situated in Kleimond, Verona Lodge by the Sea offers accommodation in five comfortable rooms. 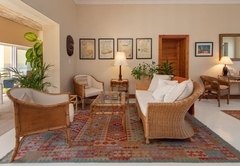 Guests have access to the courtyard garden and guest lounge. 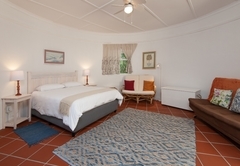 The guest house rooms include hairdryers, fans and heaters. There is free Wi-Fi and a guest kitchenette with tea / coffee facilities. 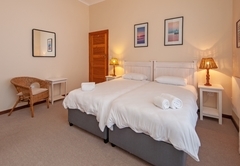 The triple room and family room behind the main house are our self-catering units and share a bathroom, kitchen and lounge area. These rooms are furnished with twin beds that can be made into a King-size bed. 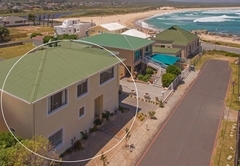 The self-catering unit consists of 2 bedrooms, a shared bathroom and kitchen area, and sleeps a maximum of 7 people (4 adults plus 3 children). A delicious breakfast is served in our sunny dining room, with plenty of advice on what to do for the day. 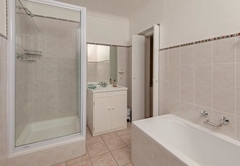 Twin beds, ceiling fan, hairdryer, non-smoking, bath, and shower. 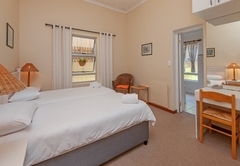 Possibility of an extra single bed in one of the twin rooms, charged at R250 per night. 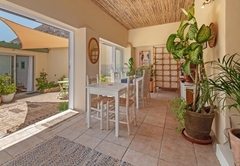 The self-catering unit consists of 2 bedrooms, a shared bathroom and kitchen area, and sleeps a maximum of 7 people (4 adults plus 3 children). 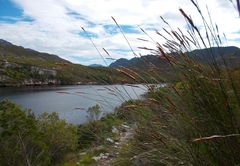 R1600 for 4 people, plus R200 per child per night thereafter. 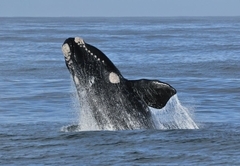 Response timeVerona Lodge by the Sea typically responds to requests in 5-10 minutes.